Axxess founder and CEO John Olajide has been selected by the Dallas Regional Chamber’s board of directors as its chair for 2020, a key leadership position. Axxess is one of the fastest-growing home health-care technology companies. 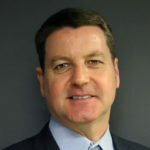 The DRC said that this year, Chris Nielsen, executive vice president for product support at Toyota North America in Plano, succeeds John Stephens, senior executive vice president and CFO at Dallas-based AT&T Inc., as chair of the Dallas Regional Chamber. 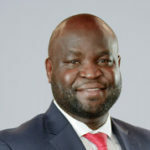 Olajide will serve as chair-elect in 2019, and then succeed Nielsen as chair in January 2020, the chamber said. Jim French has been named as chief technology officer at Transplace, the Frisco-based provider of transportation management services and logistics technology solutions. He will oversee the company’s IT infrastructure and development, and will report to Transplace CEO Frank McGuigan. The company said that former CTO Mike Dieter will transition to a new role as chief information officer. The company said in a release that French brings more than 30 years of experience working in the information technology industry to his new role. French has worked with a variety of user interface, transaction processing, and data technologies, operating both on premise and in the cloud, the company said. 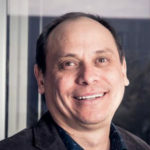 Gabriel Jurado has been appointed as vice president of manufacturing by SpotSee, a Dallas-based global provider of shock, vibration, and temperature monitoring via low-cost connectivity and data. The company said that Jurado will be filling the role of executive manager of all of SpotSee manufacturing that includes facilities in Texas and Mexico. He will be developing the SpotSee Operating System, the company said, which includes training, development, and key performance indicators for manufacturing technologies across both its facilities. He also will be responsible for recruiting new employees, including assemblers and engineers with backgrounds in injecting molding, industrial process, and automation, the company said. 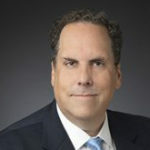 EarthX announced Tuesday that Tony Keane has been appointed as chief executive officer. The nonprofit organization said it conducted a nationwide search before selecting Keane, a certified association executive with extensive experience in the nonprofit sector. 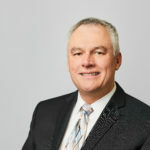 Keane previously served eight years as the president and chief executive officer of the International Facility Management Association. Founded in 2011 by environmentalist and businessman Trammell S. Crow as Earth Day Dallas, EarthX each year convenes the world’s largest environmental expo, conference, and film festival. 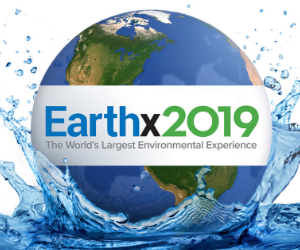 Earthx2019 will be April 26–28 in Dallas. Irving-based Celanese Corp. announced that A. Lynne Puckett will join the global chemical and specialty products company as senior vice president and general counsel, effective Feb. 13. 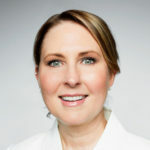 Formerly, she was general counsel at global manufacturer Colfax Corp. She brings with her years of experience in leading a large, global legal team through such activities as acquisitions, growth and emerging markets, corporate and securities matters, and debt and equity offerings. the company said in a release. Plano-based MedSys Group announced that Daniel Berglund is now client relationship executive for the company and will be responsible for managaing new and current client relationships across the health-care IT spectrum, the company said in a release. 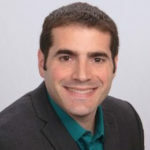 Berglund is a health-care IT veteran, having spent nine years at Cerner Corp. in Kansas City, Missouri, and then five years as an executive consultiant providing project leadership and IT strategic planning to a variety of companies at all levels of health care. The Fort Worth Museum of Science and History announced that Kippen de Alba Chu will assume a new leadership role at the museum as chief of staff to the president. Kippen de Alba Chu will oversee all aspects of daily operations at the museum. 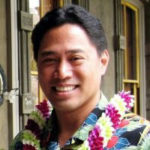 Previously, he was executive director of Iolani Palace in Honolulu, Hawaii, and is current chair of the American Alliance of Museums board of directors. de Alba Chu brings extensive leadership experience in executive nonprofit and public affairs to the Fort Worth Museum of Science and History. “We worked together for nearly a decade on the AAM board. He is well regarded and deeply respected by his peers, and I think his dynamic leadership ability will be an asset not only to our Museum but to our community, as well,” museum President Van A. Romans said in a statement. 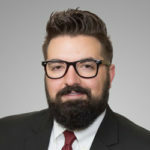 Kansas City-based HNTB Corp. announced that Frank Raha III has joined the firm as government relations director for its central division and will be based in Dallas. Raha brings more than 20 years of experience in state and local government, regulatory compliance, and public-private partnerships to his new role. Raha will direct its government relations activities for Texas, Louisiana, Missouri, Kansas, Iowa, Oklahoma, Nebraska, Arkansas, and Mississippi. Jeff Dawson has been appointed as senior vice president and chief accounting officer by Dallas-based Dean Foods Co., effective Jan. 28. Dawson will be responsible for accounting operations including internal and external financial reporting and Sarbanes-Oxley compliance, the company said in a release. He will report to Jody Macedonio, executive vice president and chief financial officer at the company. Fort Worth-based Colonial Savings Bank FA has promoted Drew Byrne to vice president and corporate marketing manager. Most recently, he was director of digital media at the bank, and in his new role, he will oversee all marketing operations for Colonial’s umbrella of companies, it said in a release. Colonial was founded in 1952 as Fort Worth Mortgage Corp. and now is a national multi-service financial institution.